This depiction of Christ as our shepherd shows the adoration and dependency of the lamb in his arms that represents each of us. It is also available in 18” size. 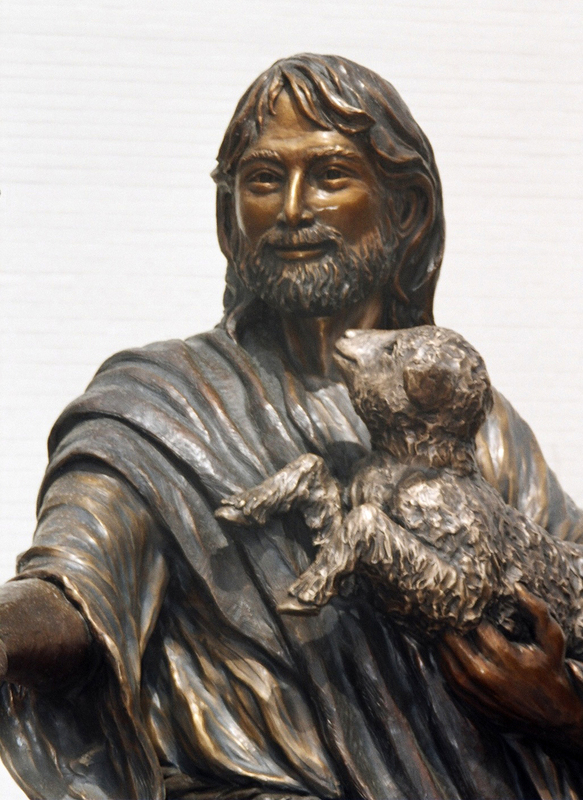 I have always wanted to create a sculpture of Christ as the Good Shepherd. I well can relate myself to a lamb and Jesus as being my Shepherd. In the scriptures, Christ refers to Himself as our Shepherd. If you will notice in the close-up view, the lamb is looking to Christ with adoration as well as gratitude. The robes don't just hang but are in movement, representing the working of the Holy Spirit. 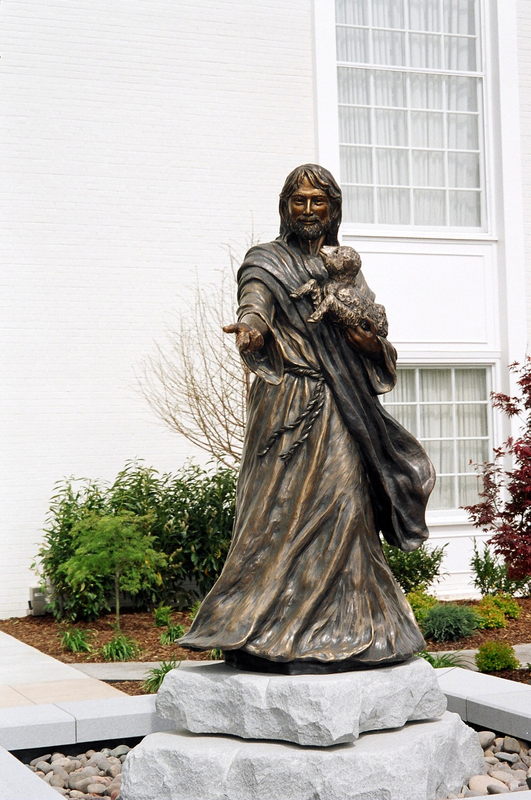 This sculpture speaks volumes of who Christ is.